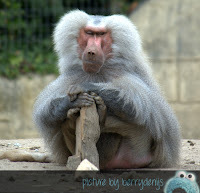 Near Lorient, in Pont-Scorff, there is a zoo called Zoo de Pont-Scorff – it easy. 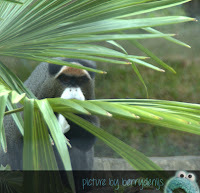 Berry wanted to go there because she loves visiting zoos and she read about Clouded leopards to live there. And she just love them. So we went with Berry’s dad and her nephews. After a long drive (an hour and a half) we got to the zoo. It was busy at the parking lot so we had to park a little creative in the middle of the big lot. It was fun already. We walked back – well… me hitched a piggy back ride – and got to the gate. It looked so small from the outside! But when we went outside we did not believed what we saw! It was so big! 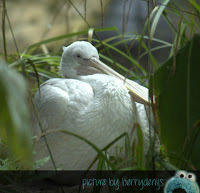 Started with pelicans and other birds. 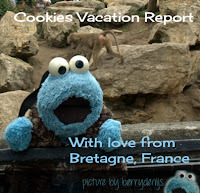 There were beautiful monkeys, giant turtles and lions. And of course giraffes, elephants, sealions and penguins. 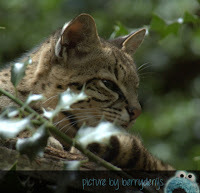 We never saw a Clouded leopard – they can hide so well – but we did see some other little cats, like the Geoffroy’s Cat and a serval. 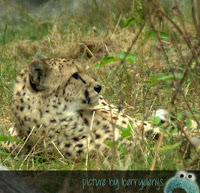 O and we loved the cheetahs, they are so awesome. But the best thing of all was the Snow leopard. We did not know the snow leopard would be there and she was so beautiful. Those eyes looked at us with so much wisdom. Berry and me… we fell in love. 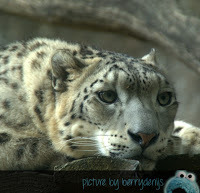 Snow leopards are so beautiful. 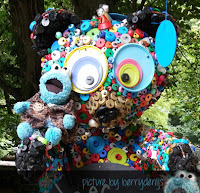 What me also loved was the art project that was exhibited all over the zoo. 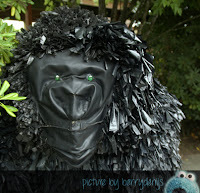 There were all kinds of animals made out of plastic bottle caps, plastic bags and other things we throw out on a daily basis. It was amazing. Me loved the bear the most, but the gorilla was cool too. 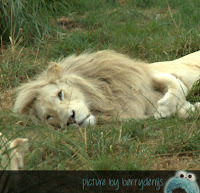 In short, we had a marvellous day and were very tired when we got back to the car – the zoo was THAT big. The habitats were beautiful and large, so the animals could play and wander around as much as they wanted. Next week me will round up the vacation blogs with a little video and some music we heard the most on the camping grounds! 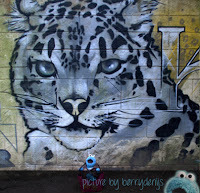 thanks for sharing this adventure with us - Dörte loves snow leopards as much as you!